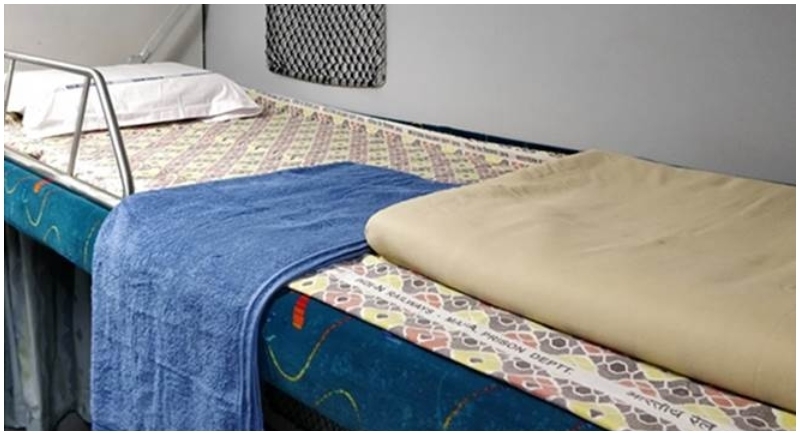 New Delhi, January 31: Giving a boost to Khadi industry and giving trains a clean sweeped revamped look, Indian Railways has procured new linen items like bed sheets, pillow covers and face towels for trains. With this new move, Indian Railways is all set to introduce more clean sheets and towels in trains for passengers. Indian Railways had decided to use locally- produced and environment-friendly terracotta products manufactured by the Khadi and Village Industries Commission (KVIC). These products include kulhads, glasses and plates for serving catering items to passengers at the two railway stations, namely at Varanasi and Raebareli. This comes days after Varanasi and Raebareli were instructed to use earthen cups or kulhads from the government organisations, so as to serve hot tea and other items at railway stations. This will prove to be a great benefit for artisans who are behind the manufacturing and production of these linen items as well as terracotta products. Vinay Kumar Saxena, KVIC, Chairman was quoted saying that Indian Railways would not only give more work to the artisans associated with Khadi and Village Industries, but it would also pave way for the KVIC for more convergence with different ministries as well as the public sector units. He added that the orders from the Railway Board will certainly create more employment and will subsequently raise the income of the existing artisans. In the month of January in 2016, Indian Railways had given an order of Rs 40 crore to KVIC for the supply of six lakh bed sheets and eight lakh pillow covers. Saxena explained that along with these orders, the immediate supply order of Rs 25 crores before March 31 this year will be generated and from next year onwards, KVIC will get orders worth Rs 100 crore.